Hopefully you don't have any other plans. It’s another busy weekend in the world of digital sports and lots of tournaments are heating up as they reach the final stages. There’s plenty of action from the League of Legends Mid-Season Invitational to the Street Fighter V ELEAGUE. We even have plenty of Hearthstone tournaments to look forward to. All the details on this weekend’s events can be found below. The best teams from around the world have been busy battling it out at this year’s MSI in Brazil, but this week we saw the return of the defending champions. SK Telecom has dominated the competition so far and they continue to be on top form. The South Korean team has only lost six best-of-one matches at international tournaments over the last four years, but three of those losses were inflicted by Flash Wolves. 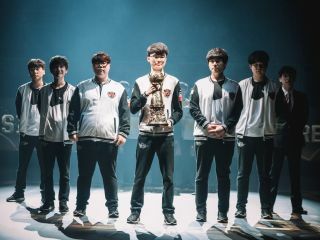 Day three of the MSI Group Stage begins today and Flash Wolves will need to be at their best if they wish to add to their record wins. The full schedule and stream can be found on LoL Esports. The StarLadder i-League Invitational and Manila Masters are just around the corner, but this weekend we have the Dream League to look forward to. Mouz will face Vega today at 09:30 PDT / 18:30 CEST, while Liquid will clash with Secret 12:00 PDT / 21:00 CEST. Meanwhile, EPG and Empire will continue their journey the following day. The LAN event will take place in Atlanta, on July 21st and 22nd where teams will be competing for a slice of the $175,000 prize pool. The full schedule and stream can be found by heading over to the Dream League official site. Overwatch Apex Season 3 is well underway and Rogue will need to take down KongDoo Panthera if they wish to increase their chances of making it out of the group stage. They beat Mighty AOD 3-1 last week but KongDoo Panthera is out for revenge. The Group A match begins today at 04:30 PDT / 13:30 CEST, while the Group B match between X6 Gaming and Afreeca Freecs Blue start at 03:00 PDT / 12:00 CEST. Meanwhile, EnVyUs will start their journey on May 16th where they will battle it out against Meta Athena and BK Stars. Make sure to check out the full stream over on Twitch. The Hearthstone Global Games tournament enters week five of play today and every team has been fighting hard to claim the top spot in the group stage. Group A’s round three match concluded yesterday for US viewers, but those of you in Europe can catch all the action today at 03:00 CEST. Both the USA and Canada are off to the best start out of anyone in the Global Games so far, but it’s a long road ahead for the pros and every team will be fighting hard to secure the $300,000 prize pool. The full schedule and stream for week four can be found here. The very first Hearthstone Major event is coming to Tokyo this weekend where eight players will square off against each other in the live playoffs. Competition is expected to be fierce as every player will be vying for coveted Hearthstone Competitive Points and a share of the 1,000,000 Japanese Yen prize pool. The playoffs begin Saturday at 21:00 PDT / 06:00 CEST and can be watched by heading over to battle.net. The quarterfinals for the Hearthstone vs. China tournament begin today and every player will be looking to claim a spot in Sunday’s final. OmegaZero will face XHope in the first semifinal match at 03:00 PDT / 12:00 CEST, while StanCifika will clash with Orange an hour later. Europe was undefeated for three years straight before China retorted with a championship win last year, but every player will need to be at their best if they wish to claim the Ferrari, or $200,000 prize pool. Make sure you check out the stream over on Twitch. SL i-League StarSeries Season 3 is currently underway, with matchups between some of Hearthstone's best going through the weekend, including DrHippi, BunnyHoppor, Fr0zen, and Neirea. Series use the best of 5 "conquest" format, with games cast by Firebat, Lothar, DTwo, and Noxious. Reddit has a nice viewing guide for the stream, which is happening over on Twitch. The Heroes of the Storm Global Championship continues this weekend and the lower seeded teams from EU and NA aim to climb the ladder ahead of next week’s playoffs. Team 8 will need to secure a decisive win over No Tomorrow this weekend if they want to make a claim for top spot. Meanwhile, Dignitas will be looking to snag a win over Tricked after they were knocked down to second place. You can check out the standings for each region and view the tournament schedule for your area over on the Heroes of the Storm’s official site. Group D of the Street Fighter V ELEAGUE is kicking off tonight’s actions and with three major groups already completed, there’s a lot on the line. The group is filled with talent from all over the world, including the 2016 Capcom Cup champion, Nuckledu. However, it has been over a month since all the competitors fought for the top spots, so anything could happen in this final bracket. Phenom has been the only player to beat Nuckledu and his consistent performance make him a serious threat to the players in this group. The full schedule and stream can be found by heading over to www.eleague.com. The Gwent Challenger tournament finals take place this Saturday at 06:00 PDT / 15:00 CEST, where the winners of the community qualifiers will compete alongside Jeffrey “Trump” Shih, Adrian “Lifecoach” Koy, Peter “ppd” Dager, and Kacem “Noxious” Khilaji for a chance to win the $100,000 prize pool. The event will be hosted by Maude Garret and ESL’s Joshua Gray with match commentary from community favorites, MegaMogwai and McBeard. Make sure to check out the live finals over on CD PROJEKT RED’s Twitch channel.